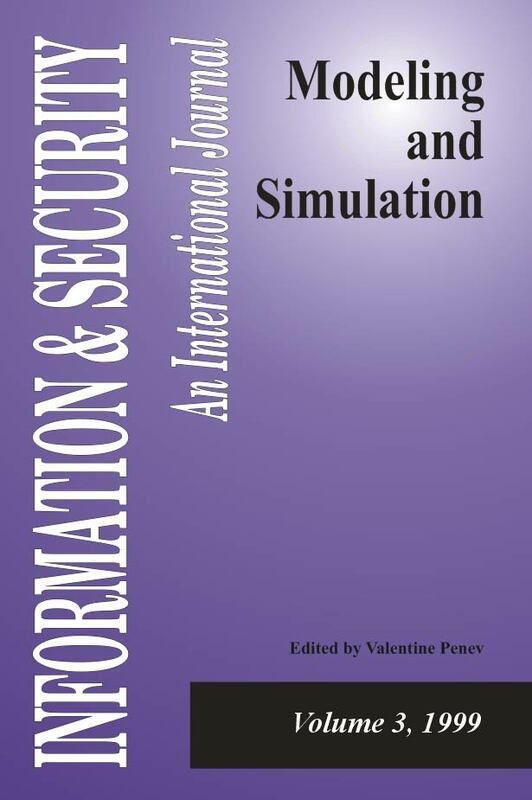 This volume focuses on research and advances in the field of Modeling and Simulation (M&S) as they relate to defense technology, computer science and weapons programs. Particular attention is given to the Bulgarian Armed Forces and their specific use of military simulations. Contributors from the United States, in particular those from the Defense Modeling and Simulation Office, MITRE Corporation and the Old Dominion University, present most advanced theoretical results and analysis of practical implementation of advanced M&S tools. Editorial. "Modeling and Simulation in Defense and Security: NATO Context." Information & Security: An International Journal 3 (1999): 2-11. Dahmann, Judith, Marnie Salisbury, Phil Barry, Chris Turrell, and Paul Blemberg. "HLA and Beyond: Interoperability Challenges." Information & Security: An International Journal 3 (1999): 25-42. Graziani, Paul. "Commercial-Off-The-Shelf Software Becomes Mission-Critical to Success and Cost-Effective Space Missions." Information & Security: An International Journal 3 (1999): 43-55. Petty, Mikel, Robert Franceschini, and Amar Mukherjee. "A Terrain Reasoning Algorithm for Defending a Fire Zone." Information & Security: An International Journal 3 (1999): 56-75. Andreeva, Plamena, and George Georgiev. "Fuzzy Control Based on Cluster Analysis and Dynamic Programming." Information & Security: An International Journal 3 (1999): 91-107. Koprinkova, Petya, and Valentine Penev. "Dynamical Behavior of Fuzzy Logic Based Velocity Control Autopilot with Respect to Changes in Linguistic Variables Membership Functions Shape." Information & Security: An International Journal 3 (1999): 108-115. Vraikov, Nikolay, and Alexi Naidenov. "The Computer Aided Exercise – An Alternative of the Conventional Exercises in the Armed Forces." Information & Security: An International Journal 3 (1999): 119-131. Fox, G.C., W. Furmanski, B. Natarajan, H.T. Ozdemir, Odcikin Z. Ozdemir, S. Pallickara, and T. Pulikal. "Integrating Web, Desktop, Enterprise and Military Simulation Technologies to Enable World-Wide Scalable Televirtual Environments." Information & Security: An International Journal 3 (1999): 149-160. Penev, Valentine, Tatiana Atanasova, and Ivanka Valova. "Distributed Simulation and Modeling Environment." Information & Security: An International Journal 3 (1999): 161-169. Smith, Roger D.. "Military Simulation: Techniques & Technology." Information & Security: An International Journal 3 (1999): 170-184. Monitor, ISIJ. "Library Update 2." Information & Security: An International Journal 3 (1999): 193-195. Monitor, ISIJ. "Monitor Reference." Information & Security: An International Journal 3 (1999): 196-213. Monitor, ISIJ. "Monitor Research Centers." Information & Security: An International Journal 3 (1999): 214-220.